Milana Leshinsky emigrated from Ukraine, built a million dollar business, and then walked away from it all. She’s an inspiring, fascinating success story. Milana’s American dream started in October of 1992, when she stepped off the plane from Kiev, Ukraine to New York. Equipped with a music teaching degree and a 90-day crash course in English, she was ready for whatever she had to do to survive in this new world! Everything Milana had learned about America came from Soviet newspapers in the 1980s, so she spent her first few years in awe and wonder. But giving piano lessons at $6 an hour wasn’t going to feed her family, so she enrolled in college and graduated with a four-year degree as a computer programmer. Now, she thought, she had everything she needed to be successful in America. With the Internet sweeping the world, thousands of online businesses started emerging and Milana became curious about e-book publishing. 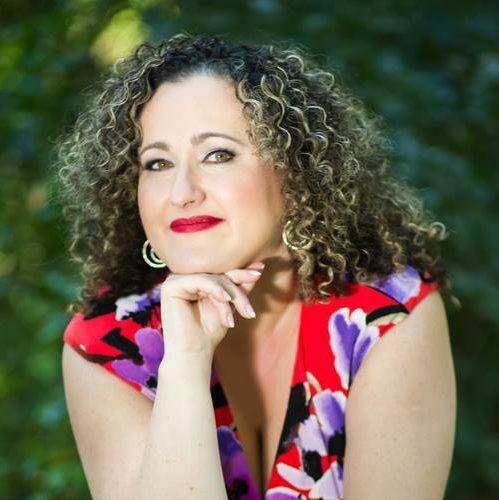 After writing and selling her first three e-books, she stumbled onto something that would completely transform her life. She discovered coaching. A fast-growing field, coaching heavily relied on having online presence, dynamic web sites, and marketing skills. Milana quit her job, became a work-at-home mom of two small children, and began studying marketing, with a focus on copywriting and direct marketing. She was absolutely fascinated by the idea of a single email generating thousands of dollars in sales. With the birth of online product launches and joint venture partnerships, Milana’s dream of creating a million-dollar business seemed more real than ever. Over the next few years Milana published her first print book, “Coaching Millions”, hosted the world’s very first telesummit, created the Recurring Revenue Revolution live event, developed almost 30 various business courses, started and sold a software company, and co-founded JV Insider Circle. And she made her first million along the way. When she had imagined building a million-dollar business, she thought it would feel like a “million dollars!” But when she finally surpassed seven figures, she didn’t even notice it. Most importantly, it didn’t make Milana feel any happier or more successful. She was always busy, often tired, and even began having panic attacks, which were absolutely scary and debilitating. How much money do I really need to be happy? What am I willing and unwilling to do to achieve this goal? Who am I when I am not running a business? She discovered that she had been operating a very successful business, but it was the wrong kind of business for her. She was in “misalignment.” She had allowed her business to dominate her life. Now she was ready for a different business and a different way of doing things. Milana also discovered that she was not alone. She surveyed and had private conversations with over 500 coaches, authors, and speakers. Many of them were going through a similar soul-searching experience. Making money was not enough. They felt drained and trapped by the complexity they’d created. They were re-evaluating their entire business models. They wanted more freedom, meaning, and joy. 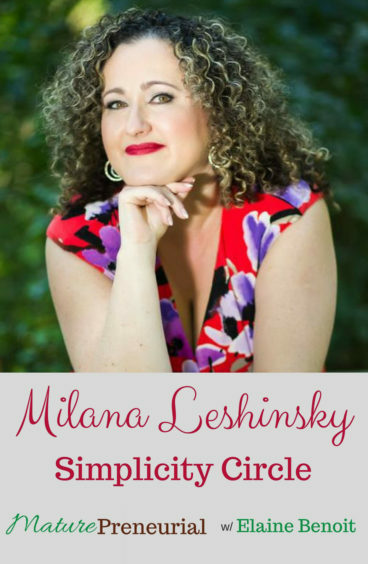 Simplicity Circle was born out of seeing how growing a business can cause stress, anxiety, and frustration and take away from happiness and peace. And from profitability. Milana feels her greatest gift is being able to turn what seems complex into simplicity. When she works with her clients, she transforms the complexity in their businesses into a simplicity-driven growth strategy quickly and efficiently. No more trying every marketing and selling strategy out there. No more adding more ‘stuff’ to an already overloaded list of things to implement. 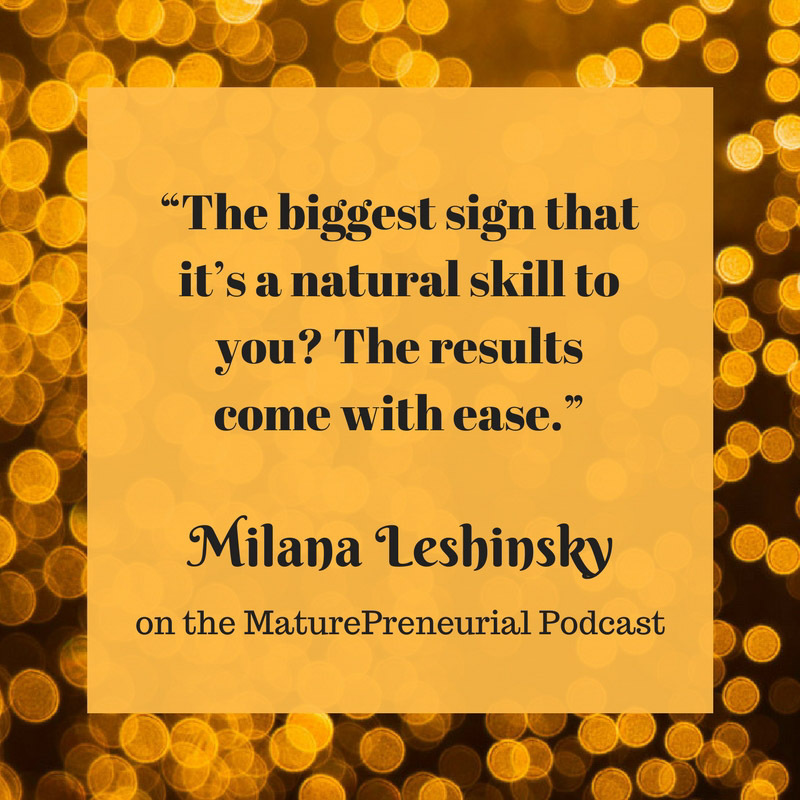 Milana guides her clients from feeling overwhelmed, drained, and frustrated to feeling confident, energized, and excited about their businesses again. What did you do before you became a maturepreneur? What was the business that you had before the business you have now? Can you tell my listeners where you are from and why you came to the United States? When your parents got here, did they do the same thing that they did when they were in Ukraine? Let’s talk about what you are doing now? When you interviewed these individuals, did they tell you the truth? And did you talk on the phone with them? What is your definition of simplicity and complexity in a business? What is the most successful idea that you implemented for your business? What is your least successful idea and how did you change tactics to fix it? Are you still having panic attacks? Come join us on the new site or subscribe to the 40+Entrepreneur podcast! Get notified of new 40+Entrepreneur episodes! Learn how to be a successful online entrepreneur! We don't like spam either, so your email is safe with us!